Obituary for Jacqueline "Jackie" Elizabeth Pilkerton | Raymond Wood Funeral Home P.A. Jackie Pilkerton, 33, of Chesapeake Beach, MD passed away in Washington, DC on September 9, 2018. Jackie was born on June 15, 1985 to John and Darlene Jones Pilkerton. Jackie graduated from Northern High School in 2004 and began a career as a paraprofessional educator. She worked at W. Winship Wheatley School and loved being around the children she taught. 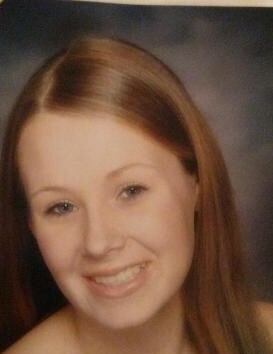 Jackie was described by her loved ones as an "extremely loving, caring and joyful young woman." She was know for her contagious beautiful smile, which brightened the lives of the many friends with whom she journeyed through life. She was dedicated to the Lord as a young child and remained a follower of Jesus Christ. She was a devoted mother to her beautiful daughter. She loved her family and spending time at the beach. She will be profoundly missed. Jackie is survived by her mother, Darlene Pilkerton and step-father, Thomas Pilkerton of Prince Frederick, MD; her daughter, Alanah Veras of Chesapeake Beach; brothers, Daniel (fiancee, Megan Newton) Pilkerton and Timothy Pilkerton, both of Prince Frederick; sister, Kimberly Pilkerton of Waldorf, MD; grandparents, Aubrey and Priscilla Pilkerton of Deltaville, VA; aunts and uncles, Wayne and Laura Sunderland, Michael and Pamela Scheibach; Robert and Deborah Mockabee; James and Sonia Jones; Joe and Alex Pilkerton; Wayne and Delores Daniel; Julie Luffy and Karen Pilkerton; nephews, David and Elijah Watson and nieces Layla Watson and Madison Jacks; cousins, Mark Sunderland, Joshua Scheibach; Robert (Brittany), Ashley, Marissa, Joseph and Andrew Mockabee; Kristie Gonyea; James Jones; Billy (Jennifer) Pilkerton; Alan, Aaron, and Jacob Pilkerton; Denise (Ashley) Davis; T.C. Bowen; Amanda and Drew Luffey and Alison and Lucas Sharpe. She was predeceased by her father, John Pilkerton; grandparents, James and Nancy Jones; cousin, Jessica Scheibach and uncle, William Pilkerton.